I am currently making a new room and was hoping if any decorators here owned the "Animated Snowflake Dance Floor NY2018" from the VIP furniture store, and would be willing to provide a link for me to see. It expires in 48 days, so any help before then would be appreciated! Last edited by AlanaPo0fer (183325466) on Mon Feb 11, 2019 8:04 pm, edited 3 times in total. I didn't buy it. Hopefully someone will see this. BykaChic (134177197) wrote: Giving you a bump. I am not VIP so I can't help. I was just thinking.....I wonder if the solid white floor was made from the old white pool rugs? BykaChic (134177197) wrote: I was just thinking.....I wonder if the solid white floor was made from the old white pool rugs? 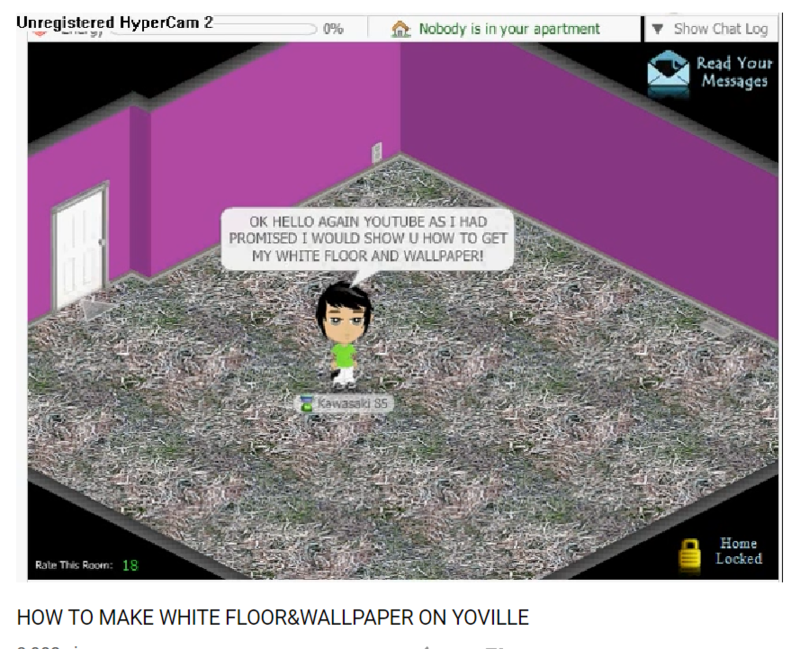 I remember back in yoville days, you used to make white floor by using a random floor in the room desired and then delete the floor(sell to the store). Pinkylola (235554) wrote: I remember back in yoville days, you used to make white floor by using a random floor in the room desired and then delete the floor(sell to the store). There was a white shag rug from a expired Valentine theme xo 2015 I believe it was I have used to create white flooring before. There is or was not sure if they are still there a white light box tile, white fashion tile, white space tile, cape cod interior floor or deck in depot as well. In furniture store there is luxury white bathroom rug that can be used or like suggested above the pool party white rugs or bath mats. Also there is a white braided rug, white rug ps2015, white sand floor tile. I think BykaChic may be right, the old white pool rugs are probably my best bet, tysm for that! Though tysm Pinkylola and sNaPCraCkleNPoP for the effort! I appreciate it so much, thank you both for looking into it as well! Here is a link to my room with the Snowflake Dance Floor. Hope this helps. LyndyPLUSH YTS (13365185) wrote: Here is a link to my room with the Snowflake Dance Floor. Hope this helps. It really is a party in that room hahah, looks like fun! tysm for your help Lyndy!